These hip and trendy hotels offer unique experiences that blend the cultural and the authentic. When booking your stay in the nation’s capital, your hotel options are plentiful. We’re here to help you find that unique locale that will take your trip to the next level. 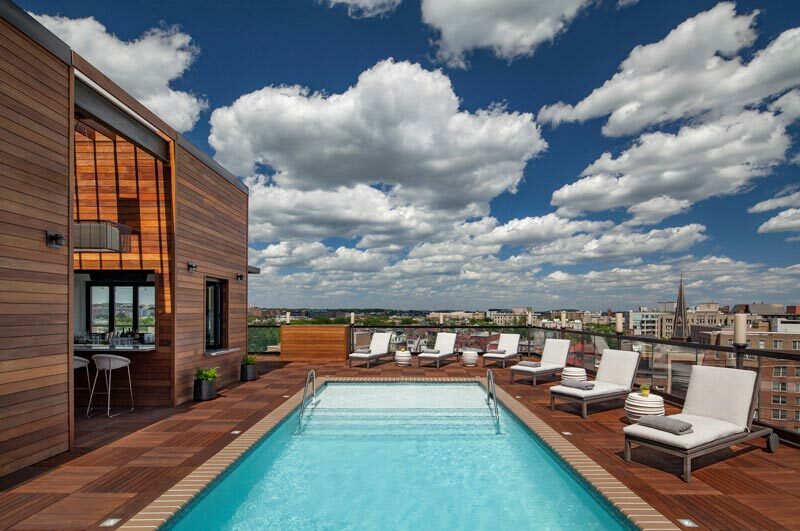 Read up on some of Washington, DC’s coolest and trendiest hotels below. The chic Dupont Circle Hotel offers a cocktail bar, a coffee shop and a restaurant in addition to its sleekly outfitted rooms. 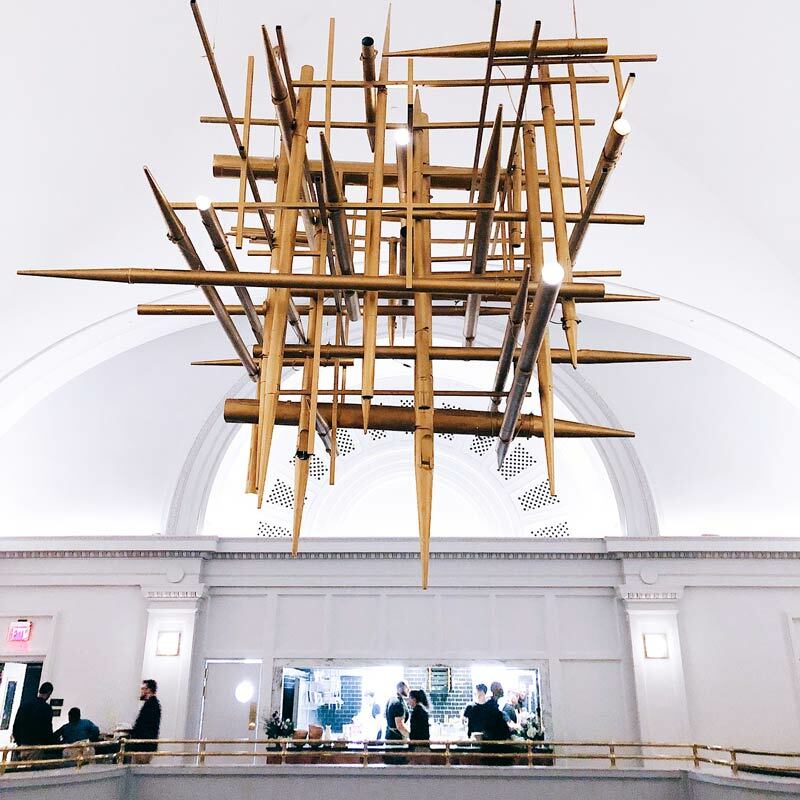 The location is super hip, too: the hotel is situated in one of the city’s most stimulating neighborhoods and is just a six-minute walk from The Phillips Collection, the first museum of modern art in America. 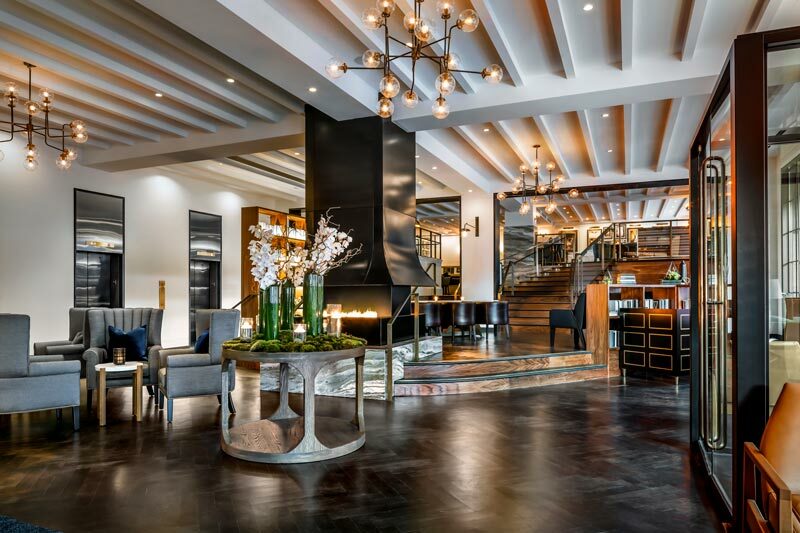 You’ll discover urban sophistication at Eaton Washington DC, where all of its 209 rooms feature 43-inch HD Smart TVs and Bluetooth record players with curated vinyl selections. The cool does not stop there: Eaton also features a radio station, a 50-seat cinema, a juice bar, a coffee shop, a rooftop bar and a restaurant from acclaimed chef Tim Ma. 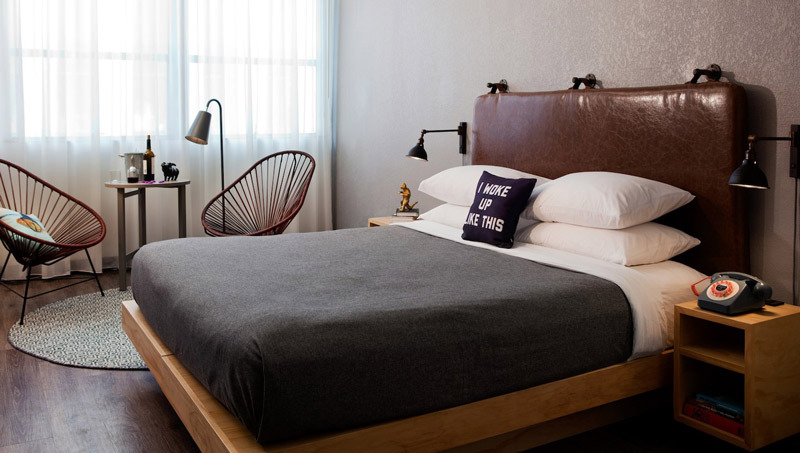 With unique event spaces, a podcasting station, three restaurants (including A Rake’s Progress by Spike Gjerde and Brothers and Sisters from Erik Bruner-Yang), two bars and a coffee shop, The LINE DC is revolutionizing the hotel stay in the District. 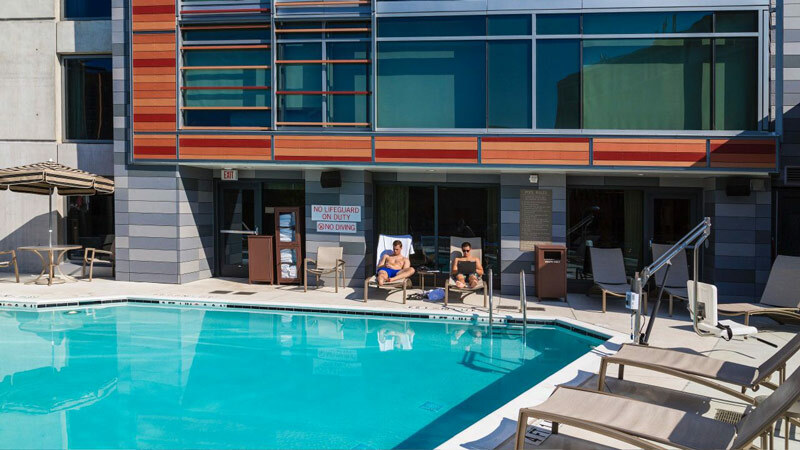 Situated inside a 110-year old historic church, the hotel is conveniently located in Adams Morgan, one of the hippest locales in the District. 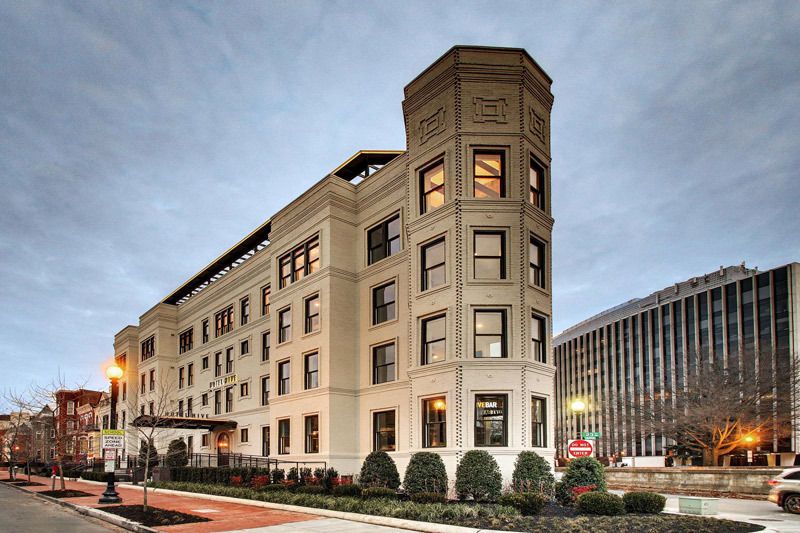 Fixed at the intersection of Dupont Circle, Georgetown and West End, St. Gregory Hotel recently renovated its 156 guestrooms and suites, transforming the site into a dynamic destination for luxury. Take a break beside the dual-sided fire pit in the posh lobby lounge or savor raw bar oysters from the new Tredici Enoteca during your stay. Also note that many of the hotel’s amenity partners are local businesses, driving home the authentic, DC feel even more. 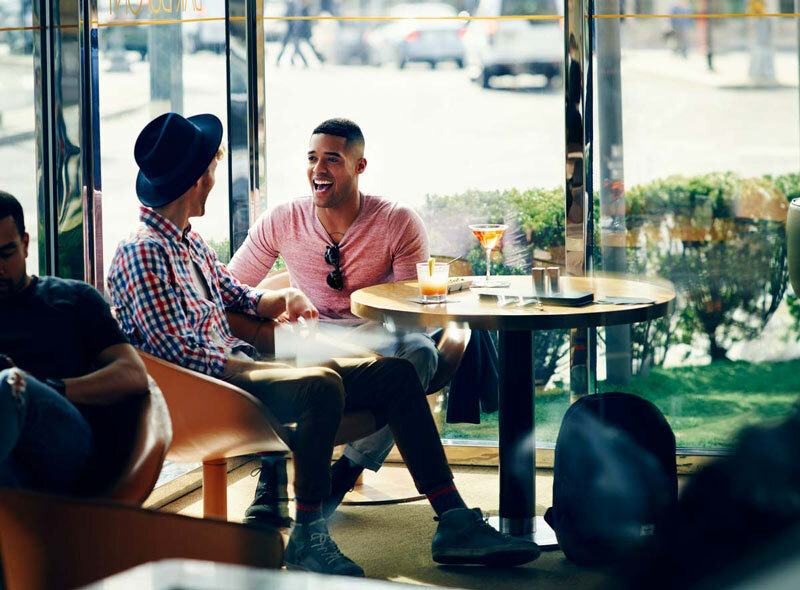 Known for being one of DC’s most sophisticated hotel brands, Kimpton also knows how to honor the incredible creative spirit embedded into the nation’s capital. 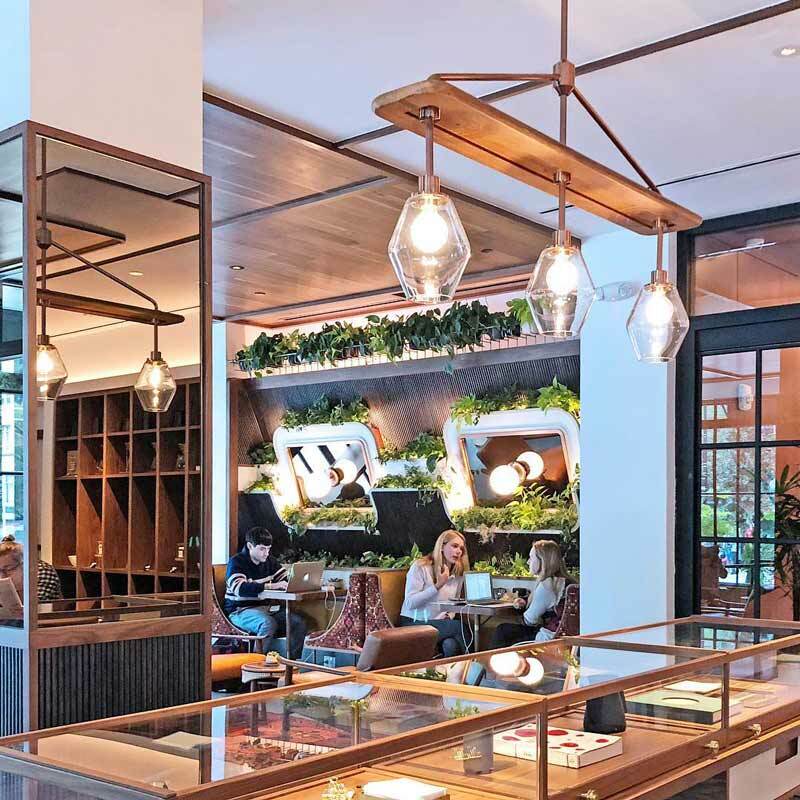 The Make a Getaway in Washington DC package, available at all 10 Kimpton locations in the District, showcases Kimpton’s partnership with Shop Made in DC, a community cafe and retail shop that highlights the city’s makers, designers and artists. Book this package and you will receive a Shop Made in DC tote bag, DC-themed Oreos from Capital Candy Jar, a hand-illustrated postcard from DC artist Carlos Carmonamedina and a $15 gift card to Shop Made in DC. Pod hotels do away with all the extravagance of a hotel stay, providing the necessary accommodations at an affordable, budget-friendly price while still retaining an innovative aesthetic sense. DC’s edition is in the heart of Penn Quarter/Chinatown, putting you close to many of the city’s best attractions. Bunk up with a friend or shack up with your partner in a 150-square-foot room that is perfectly designed for efficiency. We also highly recommend a visit to Crimson, which combines a cafe, a diner and a rooftop whiskey bar. Crash the party downtown at this lavish new hotel from Marriott. Moxy Washington, DC Downtown pulls together colorful decor (think pink flamingos and stylish pizza boxes), the lively Bar Moxy, on-site games (like Jenga and karaoke) and a location to die for to create one of the newest and hippest hotel experiences in the District. Innovation bursts from every nook and cranny of Hotel Hive, with rooms that provide all you need within 125-250-square-foot spaces. Pets are welcome in your hive as well. When hunger for food or a good time comes calling, step into the Hive’s own &pizza or the Hive Bar, which offers craft cocktails that use local rum from Cotton & Reed and local whiskey from Jos. A. Magnus. 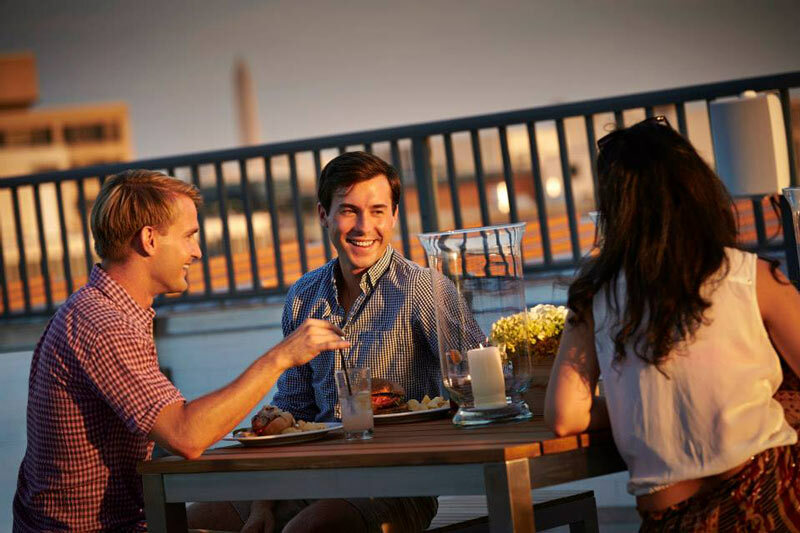 Home to the only rooftop pool and bar in Dupont Circle during the summer months, The Embassy Row Hotel is a haven for socialites looking to make the most of a trip to DC, regardless of the time of year. Check out Station Kitchen & Cocktails for bar bites, brews and inventive libations, and make sure to pay a visit to the Global Angels Wings Project mural by artist Colette Miller, located just outside of the hotel. The painting is ideal for a stylish Instagram pose. 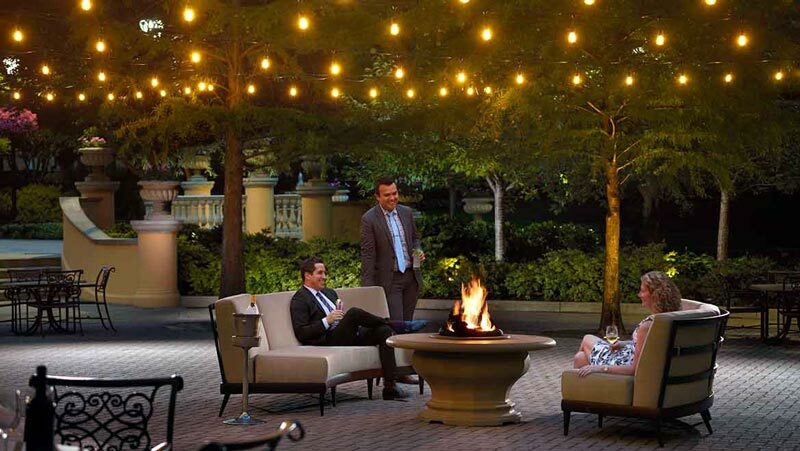 Gorgeously fixed on 11 acres that gaze over Rock Creek Park and manicured gardens, Omni Shoreham Hotel is a Woodley Park masterpiece that serves as an exotic urban retreat in the nation’s capital. Get in a chill sesh with all of the wonderful animals at the nearby Smithsonian National Zoo. Come spring 2019, add a healthy dose of smooth to your stay by snapping your fingers and tapping your feet to the Secret Garden Jazz Series. NoMa is a rising DC neighborhood, steadily moving towards the forefront of the city’s cultural evolution. Hyatt Place Washington DC/US Capitol is the place to stay if you’d like to immerse yourself in NoMa and its eclectic vibes. 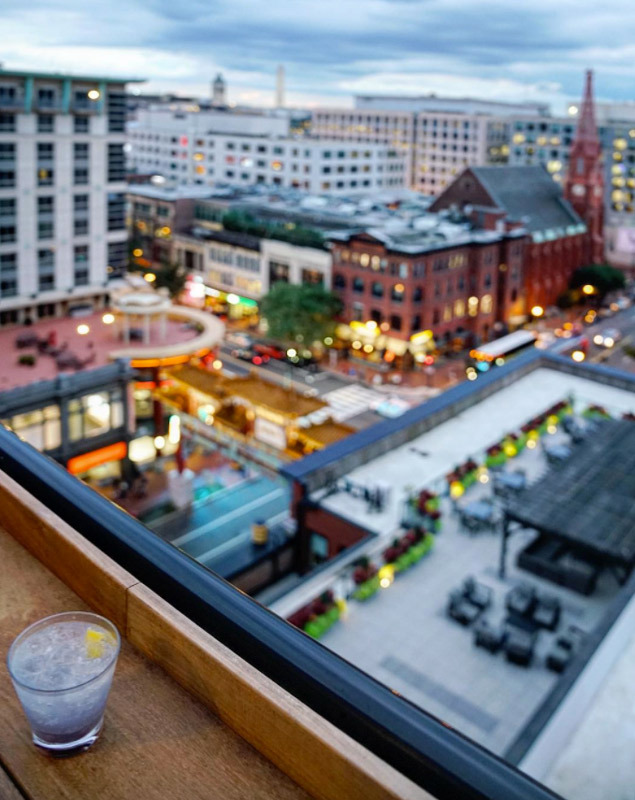 Stop by the 14-story hotel’s convenient Coffee to Cocktails Bar before venturing over to Union Market. Another must-see: the Rain installation, found a short walk away at the M Street NE underpass. Have Instagram at the ready when you encounter the artwork powered by 4,000 LED polycarbonate rods.